On the Consent Calendar - items that it is suggested of such routine nature that they can be considered in one motion without discussion - are four (4) items. They are, 1- the minutes from the July 27th meeting, HERE; 2 - the proposed vacation of a portion of the West 19th Street right-of-way adjacent to 752 West 19th Street, HERE; 3 - the request to cancel the August 24th meeting and schedule a joint study session with the City Council on September 8th, at which amendments to the Westside and SoBECA Urban Plans and the Costa Mesa General Plan Update will be discussed, HERE and 4 - the General Plan conformity for vacation of landscape easement at 580 Anton Blvd, HERE. There are five (5) public hearings scheduled, four of which will actually be heard Monday. The fifth and final item, the design review for a triplex conversion at 141 Melody Lane, HERE, will be continued to the meeting of September 14, 2015. Public Hearing #1, HERE, is the request by The Hub Restaurant at 1749 Newport Boulevard to extend their hours of operation until 2:00 a.m. The staff is recommending denial of the request. Public Hearing #2, HERE, is the application for a two-unit, two-story residential development at 355 Rochester Street that falls under the Residential Small Lot Ordinance. No deviations are requested. Public Hearing #3, HERE, is another two-unit, two-story small lot development at 215 Knox Place. This project also meets the guidelines and requests no deviations. Public Hearing #4, HERE, is not something we see every day. In fact, we've NEVER seen it before in the city. This is a request for nineteen (19) car lifts to add parking capacity to an existing apartment complex at 400 Merrimac Way. The apartment complex was built in 1968 with nonconforming parking - 95 spaces existing, 112 proposed. This request would build ten (10) car lifts immediately and nine (9) later as budgetary considerations permit. This should be an interesting discussion. The photo is an example of a development currently used in Santa Ana. 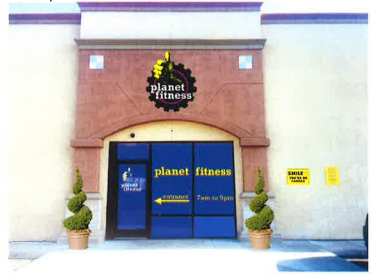 There's one new business item, HERE, the review of the Planet Fitness facility's Conditional Use Permit because of initial concerns about parking. The staff has several recommendations to facilitate more appropriate use of the parking available at the center. Righeimer giving more city property away FREE to the developers for the 19th St. project. When is this going to end? 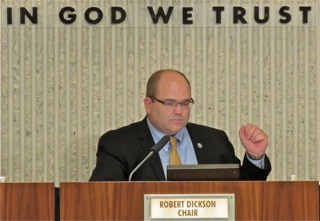 Dickson and each of the others on planning should state for the record, at the start of each meeting, that they not have discussed any item on that night's agenda with any Council member. If they have, then they should disclose with whom, and the exact nature of that communication.